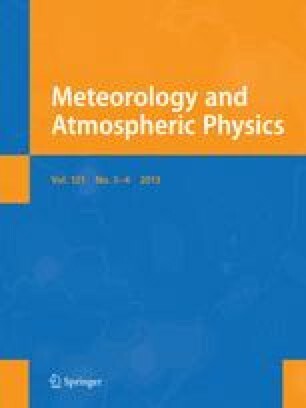 An outline is given of the numerical formulations that have been utilized for medium-range prediction at the European Centre for Medium-Range Weather Forecasts. The sigma-coordinate grid-point model adopted for the first phase of operational forecasting, and the hybrid-coordinate spectral model which replaced it, are described. Particular emphasis is placed on aspects of the time-stepping employed in the spectral model. It is shown how a semi-implicit treatment of the zonal advection of vorticity and specific humidity, and selective use of enhanced horizontal diffusion, enables time-steps to be used which are well over 50% longer than would otherwise be possible in a spectral model with a classical semi-implicit treatment of gravity-wave terms, with negligible computational cost and negligible impact on forecast accuracy, at T 106 resolution at least. Some discussion of the stability of the semi-implicit gravity-wave scheme is also included. The experimental evidence which led to the operational change from the grid-point to the spectral model is summarized, and the sensitivity of forecasts to the horizontal resolution of the spectral model is illustrated. Both the change in method and increases in resolution result in systematic improvements in the details of cyclone development, and they occasionally have major beneficial impact on the evolution of the forecast in the medium range. Conventional objective verification indicates a much smaller mean improvement of T 106 resolution over T 63 than of T 63 over T 42, although the advantage of T 106 is nevertheless clear-cut. This advantage is more than confirmed by synoptic assessment. Scope for further improvement is indicated by first results from global forecasts with a resolution of T 159. Indications of sensitivity to the magnitude of horizontal diffusion and the resolution of the model orography are also given. The spectral model was initially used operationally with a 16-level vertical resolution, and the uppermost level at which prognostic variables were held was 25 mb. The results which justified a subsequent change to 19 levels, with increased stratospheric resolution and a 10 mb top level, are presented. In this case the principal medium-range forecast improvement came about because better initial analyses could be produced when the 19-level model was used in data assimilation. 1.European Centre for Medium-Range Weather ForecastsReadingU.K.